Conventional wisdom says putting is a crucial facet of any successful golfer’s game — and conventional wisdom is correct. No one who has ever spent a round crushing long, accurate drives only to score poorly because he or she couldn’t hit a putt (that would be everyone) would argue. Yet few players practice putting with a purposeful, regular routine. If you’re reading this, you are likely someone who has at least a moderate desire to shoot lower scores on the disc golf course. Therefore, if you’re not systematically working to improve your putting skills and consistency, the question is why? One logical answer is that you’ve never heard a specific reason or reasons that resonated strongly enough with you personally. It’s one thing to agree with the logic in a general, vague sort of way, but quite another to be able to connect the dots with a straight line that leads directly to a result you value highly. Therefore, the below 5.5 reasons to practice putting in disc golf are presented as a means of motivating more players to create and stick to a putting practice routine. Golf had barely made its way to the United States during Benjamin Franklin’s lifetime, otherwise I’d be inclined to think the above quote, taken from his Poor Richard’s Almanac, came to him while playing a round. I also believe that Franklin, if born into a world where both ball golf and disc golf existed, would undoubtedly have chosen the latter. Add that to the long list of reasons why he is by far my favorite among the founding fathers. 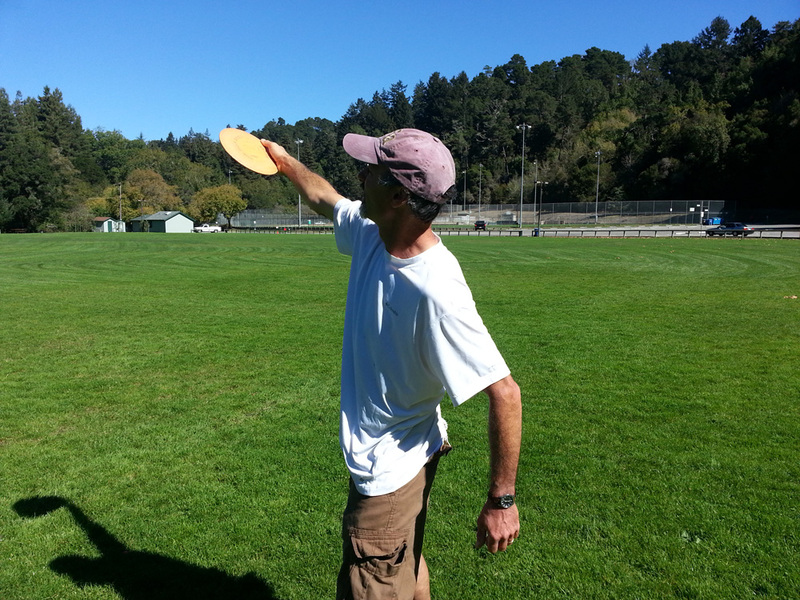 I could write an entirely separate post listing and elaborating on the reasons he would favor disc golf — chief among them its accessibility to people of all classes and the endless intriguing flight path possibilities of a flying disc. But that’s for another day. Let’s focus on that quote, and how it applies to disc golf. You’re 30 feet away from the basket with a downhill putt, where the terrain continues to slope down behind the basket, with a lake at the bottom. You know this hole well, and as you approach your lie you think of the many times you’ve hit this putt and others like it. There are simply too many mental and physical aspects to good and consistent putting for there to be some secret that, once discovered, instantly turns a weak putter into a good or great one. If anything, the best advice is the one players often like to hear the least — practice. But we’re not talking about flour and water here. Those are major components to making bread, but the secret ingredient is yeast. Without the yeast the bread won’t rise, and if it doesn’t rise, well, it’s not really bread, is it? The same goes for putting in disc golf. You can propel a disc toward the basket any number of ways, and it’ll even land in the basket once in a while. But if you want a putt that seems to zip out of your hand, go farther and hang in the air a little longer than your effort warranted, you need some nice tight spin. And believe it or not, there’s a pretty simple modification you can make that will help you get it. Before you dive into this post, make sure you read the first 3.5 tips and universal truths to improve your putting from the neck up. You can see part one here. If you’ve already seen that one, or are now done with it, read on! 4. Follow through. Really, really follow through! Think about all the pictures you’ve seen of pro players having just released a putt. I guarantee that most of them will show a player with his or her arm extended almost perfectly straight, and with all fingers — and even the thumb — rigid and reaching out toward the target. Following through is an important aspect of mechanics is many different sports, especially those that include throwing a disc or ball. The benefit is two-fold as the best way to ensure consistent aim is to extend toward your target in an exaggerated fashion, and doing so will add a smoothness and extra bit of momentum that increases power and speed just enough to make a difference. I’ve had too many putts to count barely go in where I noticed, as I brought the disc forward, that my grip was a little off or I wasn’t providing enough speed, but compensated by following through as strongly as I could. This might be tough to do right away as it requires developing muscles in a different way. But this short video tutorial demonstrates an exercise that will help you understand the concept as well as develop the form. Anyone who plays golf of any kind understands putting is a big part of the game. Surprisingly, though, most don’t take the time to develop the systematic approach required to produce real and lasting improvement. That’s good news for those who are willing to do so — assuming you’re interested in having an advantage that directly translates to lower scores and more fun After all, missed putts aren’t fun. 1. Consistent putting is a major component to consistently scoring well in disc golf. 2. More than any other element of the game, good putting requires a solid, well-developed mental game. The first point is important if you play tournaments, leagues, or any other type of competition where scores are accumulated over numerous rounds. You may shoot a hot round (where you’re in the zone) every now and then, but unless you consistently make a large majority of the putts, you won’t consistently score well, regardless of how great the rest of your game is. Everyone can relate to how frustrating it is to have the best drives all round yet end up not having the best score. The second point is the theme that ties together the tips listed below. Players are different in terms of the physical aspects of putting technique, and what works for one player (grip, stance, form, etc.) won’t necessarily work for the next. Everyone, however, faces the same challenges and can benefit from these approaches. Many playing companions over the years have heard me mutter “I see holes” at some point during my pre-shot routine while playing a round of disc golf. It’s a go-to phrase of mine, and has been for probably 15 years. Some ask why I say those words when getting ready for certain shots, and they get the answers as you’ll see below. The funny thing about this particular mantra is I use it for two distinctly different reasons, yet the two reasons often blend together. The place where the two meet — the axis of risk or reward assessment (a scientific approach) and more nebulous subjects like positive thinking and confidence (closer to an art than a science) — is really the essence of the mental side of golf. The history of this mantra, for me, was the light bulb-over-the-head realization that even on shots where the trees and other obstacles seem so numerous and throwing a disc cleanly through and past them is impossible, it’s rarely as bleak as thought. In fact, when you consider the overall area covering a particular flight path you’re hoping to take, the gaps between the trees usually represent a much larger portion of the total space than the obstructions. After this became apparent to me, I would chant “I see holes” as a way to remind myself to think about and visualize a clean flight rather than dreading the relatively few disc-whacking trees it had to pass. In this context it’s really just positive thinking and positive imagery, and the mantra is a way to keep my thoughts focused on the good things that I plan to happen rather than the bad things that might occur. 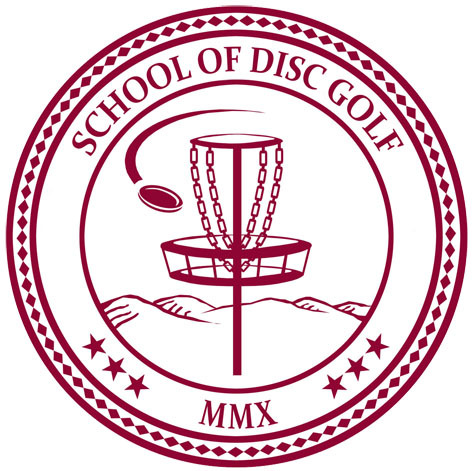 Most of you who read Rattling Chains or the School of Disc Golf blog know I run School of Disc Golf as a side-gig, mainly because I thoroughly enjoy getting new players hooked on the game and helping those already addicted get better. You’ve likely read, at some point, that I used to play in as many tournaments I could, topped out at a 999 player rating (so close!) and, for a time, was an officer of the DeLaveaga Disc Golf Club. What I don’t think I’ve ever mentioned in this space before is another off-and-on project of mine — Discmasters TV. Since the first new episode in quite a while just hit YouTube, it made sense to take a little time to tell you about the show and its origins. It started when I came across a YouTube video that covered a Santa Cruz tournament called the Faultline Classic. I thought the video was well-produced, given the obviously limited technical resources. I decided to approach the person who posted the video with an idea I had been tossing around for some time. The concept was for a lighter side of disc golf-type variety show, incorporating instruction, interviews and cheesy — and badly acted — comedy. It should be no surprise the last part came naturally. The disc golf courses where I live have plenty of variety, but one thing they don’t have, for the most part, is the kind of thick, lush grass found in manicured city or county parks. I’m used to fairways and greens that present many complexities when the disc comes into contact with them, because of the surface itself, as much as the mountainous slopes. The hard, and sometimes, barren ground results in all sorts of action after the disc makes first contact. The uneven nature of the terrain — rocks, ruts, and exposed roots (an especially notorious villain in Santa Cruz) — add a second layer of complexity to the already technical nature of these seemingly unpredictable shots. So when I find myself on a course in well-manicured park setting, with lush green fairways that are beefed up by Scott’s TurfBuilder and mowed to a shag carpet-like regularity, it takes some time for me to adjust. Certain things are just hard-coded into your game if you play a particular type of course nearly all the time. Dealing with tricky fairways and greens is part of my DNA. After watching the locals time and again attack the greens with reckless abandon, and then constantly coming up 30 feet shorter than I intended myself because my discs are plunging into the soft, thick grass like M & M’s in chocolate pudding, I’ll begin to realize some adaptation is necessary. And even then, the old cautious habit is hard to break. I’m glad the adjustment I have to make when in those situations is from more to less difficult, but it’s an adjustment nonetheless. It reminds me of the pool table my Grandpa built from scratch long before I was born. He wanted his sons to be good at billiards, so he built the table regulation size but with snooker-size pockets, which are smaller than the pockets on a normal pool table. It made those who used it more precise with their aim, but it also required an adjustment to the increased shot-making possibilities when playing on normal tables. In both cases, the key is to be aware of the changes in the environment — and then know how to adjust one’s game accordingly. You’ll often read the term “saving strokes” in my instructional posts because I believe the best way for an average player to improve his or her score is to cut down on taking unnecessary bogeys, doubles, or worse. Birdies are wonderful, but for those who consider breaking par consistently to be a lofty goal, the quickest way to get there is to identify the avoidable mistakes we repeatedly make — and eliminate them. There are many ways to do this, and the good news is most don’t require increased athletic talent so much as an understanding of three things — what’s likely to happen given the situation, your current skill level, and a number of environmental factors. This post focuses on a big part of what happens after the disc leaves your hand — specifically the moment when it obeys the law of gravity, as all discs must eventually do. What goes up must come down, and unless your disc lands in a tree or on a roof or somewhere else above the playing surface, it’ll end up hitting the ground. The question to ask yourself is, when you’re planning the shot you want to throw, how much thought are you giving to what happens after your disc first makes contact with the ground? If your honest answer is “none” or “not much,” you’re likely taking some unnecessary strokes during your rounds. And if you’re like me, you might have been giving the subject plenty of consideration for years and still not realizing the important points. My goal with this lesson is to list a few factors related to the angle or texture of the terrain that may affect your decision making when determining the exact shot you plan to execute. In the first part, we’ll cover the best ways to deal with holes that slope — uphill, downhill, and side-to-side. The second part will address the texture of the terrain — thick grass, dirt and rocks, thick brush, and hard-pan. Each presents special considerations, and we’ll cover ’em all. Now, on with the book, er, blog learnin’! The first thing to know about throwing roller shots is if you can throw backhand and sidearm, you already know much of what you need to know. Roller shots don’t require learning an entirely new technique — just a twist on your most basic throws. With most air shots, the aim is to keep the disc aloft most of the way to the target, whereas roller shots need to hit the ground early. And, as opposed to air shots where you usually want the disc to land mostly flat so the disc won’t roll away, roller shots are calculated to not only land on the edge, but on an edge at a specific angle so it goes the direction and distance you intended. By the way, if you didn’t catch the first post regarding this technique, which covers the who, what, when, where and why, of rollers, check it out here. Now on to the how. Much of what I know about throwing rollers comes from my personal roller mentor, Alan “Flash” Friedman. I tapped into his knowledge base for this post, and filmed a quick video, which I uploaded to YouTube. The video can be seen at the end of this post, but don’t be lazy and just watch the video as it doesn’t do a great job by itself of explaining how to properly throw the shot. According to Friedman, there are two types of roller shots — the finesse version (thrown using understable or “beat” discs), and “high-tech” rollers that require an overstable disc.